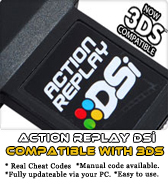 “Pokémon Platinum Action Replay Codes “works only with Action Replay Device. This is my first AR code i submit. I have tested and it works. This is my highest EXP. 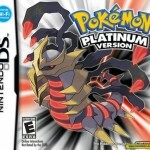 code i know (Press R at Pkmn faint msg)… Fun leveling! These are three seperate codes. No buttons needed! Press Select while in grass BEFORE battle. This can be used as a battle training/catch technique. All you have to do is use the move and HOLD select untill it says that your opponent fainted then let go it will say to do something then you can throw a pokeball if you want and you can really catch them i’ve done it. L & R again to get 255 steps if you still have’t deleted the code from the code list. This will give you all of them! This code will give all of them. It’s NOT always but you can make it rain by going in your: Pokedex, Pokemon, Bag, Trainer card, and Options. This can be activated ANYWHERE. I was editing Super exp. gain to make it automatic, but it didn’t work and it started raining for no reason after I looked at my pokemon. It works…..If it doesn’t, contact me. This code will change the name of your character to Brock. *I’m not sure if it works for female characters too…. 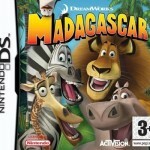 This changes you adventure start date to 31/12/2099 hour 12 minute 59 second 59. Press R to activate then find the one you want. Then get the calculator and type in that number. Then hold R and walk in to a building holding R at all times when you are inside you will be that character. When you enter or exit a building you have to hold R while its loading each area which is not long. Hold L + R When entering any pokemart, talk to guy in green inside. Changes your Hall of Fame Debut to April 17th 2009. Especially useful if you haven’t beat Elite Four yet. L+R Activator. I edited Super exp gain to make this. This code gives you a Lucario doll in your goods for the underground. Hold L + R when entering any pokemart then talk to guy in green inside. Use this code, and your BP # will go to 9999. Press L+R to activate, press L+R to re-activate. I know that ilikepi is a pretty dum name but I have the code. Yahoo! Hold L+R and boom! You can either use this before or after you go to the Underground. Make sure there are no special Spheres you want to keep, if you do, bury them before using this! I have tested both codes several time so that I know they work. Changes the players met underground to 32 so if you insert the odd keystone to where it is supposed to be you can battle spiritomb. First of all you’ll need the Pokemon Calculator. Type in the Number x1. (Ex:3×1=3 Which Should be Venusaur) Then Press L and the Clear (Do not hold L) Then do 21-11=10. Then Press R and Clear again do not hold R. Then press selct and walk at the same time. Okay here’s the Code! Pokerus is a useful infection that makes your pokemon get double ev’s. In the wild/breeding, you have a 3 in 65, 536 chance of the pokemon having pokerus. Pokemon in the pc will never loose the pokerus status. This is the code to meet any pokemon you want. It will be lvl 2, all stats are I think 31 or 99 it has 1hp and is asleep. It also has a serious nature so it is neutral stat gain and can be shown to the guy in sunyshore if you want. 94000130 FCFF0000 B2101D40 00000000 E0008020 00000018 3FFFFFFF 24F124F4 00010??? 00010101 00000000 00000000 D2000000 00000000 Change the ??? to a pokedex number, i.e. 001 is bulbasaur and 493 is arceus, those are the limits. If you put in anything like 000 or 500 the game either will give you nothing in battles or will freeze up. Don’t do it. Press Start+Select before entering where they were when you battled them before. If any doesn’t work the first time press Start+Select again & re-enter the room. Press L+R to activate. Tested and works great. The Arceus is level 100 and has 100 HP left. All of its IVs are 0 and it has all five status conditions. This code will give you an arceus that roams around the sinnoh region. It is level 100 has 999 hp, is shiny and is also asleep. press L+R to activate. Hold L + R When entering any pokemart, talk to guy in green when inside. This code will give you a Shaymin in one of the PC Boxes. You take that Shaymin to the Girl with blond hair behind the house next to the PC. Talk to her and she will give you the Gracidea flower, use it on Shaymin to get its sky form. Press L and R before entering any Poke Mart to activate this code. Talk to the delivery person in a green uniform to receive the Azure Flute. Good luck!!! this shaymin is at lv 1 but all its stats is at 780 and its ability is white smoke because of the moves it know like seed flare. it also have all the ribbons and leftovers. then for a added bonus it has the PKRS and its shiny. 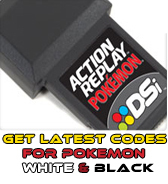 please go left to right when puting in this code and if you need any action replay code but you cant find it e-mail it and i have it to you in a day or two. I found this code on another website and it works. I did not create it. It works like the Wild Pokemon Modifier code. You type the number of the move from below (example: 338) into the calculator on your Pokétch, Press R, then go into the TM section of the bag and find TM17, it should be the move Frenzy Plant. I hope you guys like this one. It gives you a star in trainer card. These codes will give your Pokemon 255 EV’s. If you want 252 EVs, change the FF to FC. Note: If this code is activated, you will probably not be able to go to Flower Paradise, Spring Path, Newmoon and Fullmoon Island until the code is deactivated. but at least your VS seeker will always be charged. Plus, this code is really short. Insert one of those numbers into the calculator app and hold “R”. Then go into your bag or party and the weather will change! Tested and working! Press L&R to activate. Note: This code will erase all of the other pokeballs in your bag. 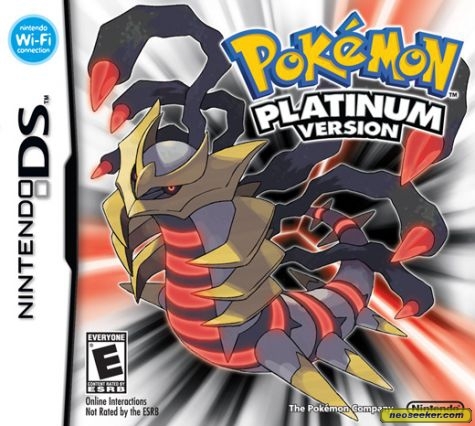 All Pokémon Platinum Action Replay Codes DS US-EU (AR) here.If you have a problem,You can leave comment. Absolutely captivating! Although tied to precise induce? Enjoy technology as well as easily share the actual information and facts along with.